(Canada) As I travel the country, I am impressed by the way the Gospel is announced across Canada through so many different languages and cultures. 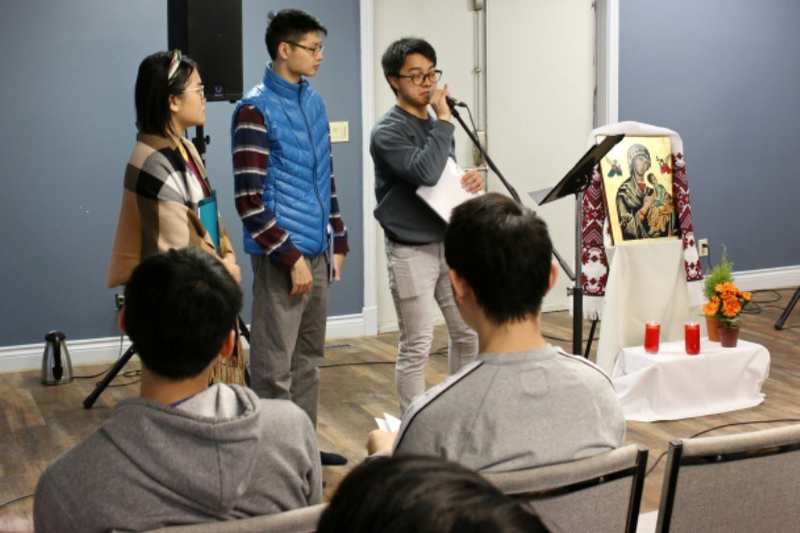 In November, I visited a young adult group that meets at Holy Spirit Parish, the Montréal Chinese Catholic mission. 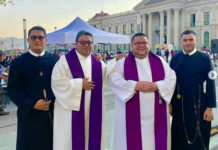 This celebration of the Catholic faith, in this spot and through this culture, has continued for over one hundred years! 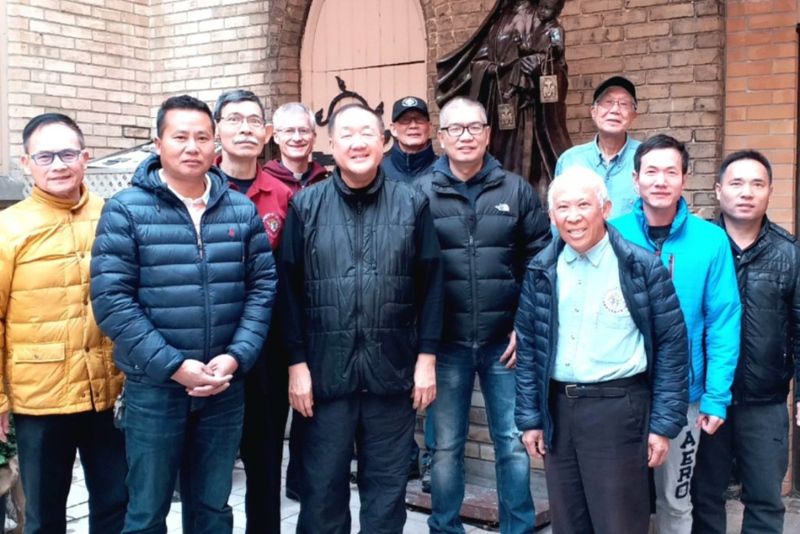 I also attended a meeting of Chinese Catholic Pastors in the Toronto Archdiocese. The meeting was hosted by Fr. 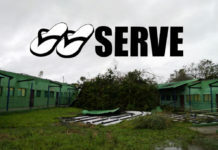 Peter Chin C.Ss.R. at Our Lady of Mount Carmel Church. 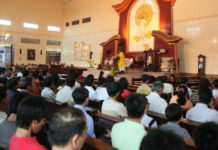 Bishop Robert Kasun was dialoguing with the priests about their mission and ministry within the ever-growing Chinese Catholic population. Fr. 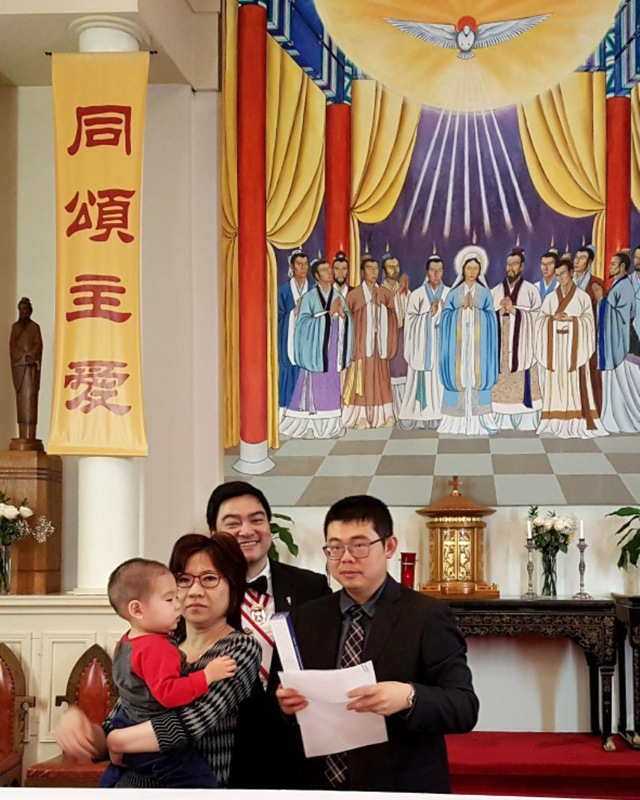 Augustine Chan has been appointed as chaplain for the Chinese university students in the Toronto Archdiocese. 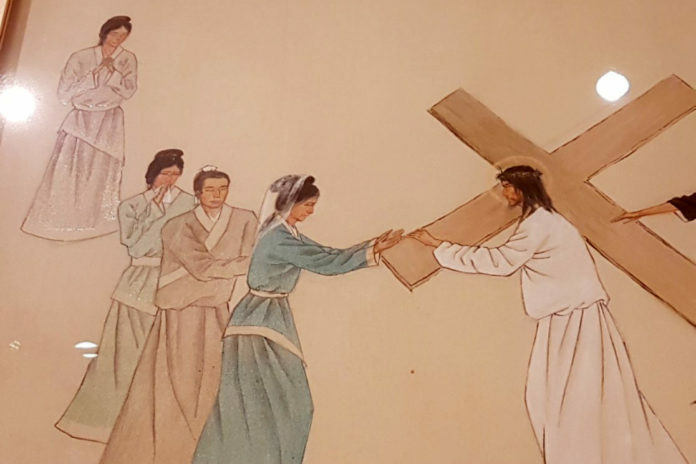 He recounted his experience of leading a delegation of Catholic students in August to meet others at Pearson International Airport, who were arriving from China. Of the half a million international students who arrive in Canada each year, 132,000 (the largest group) are from mainland China, meaning that most of them would speak Mandarin. If you are interested, Indian students, then Korean, make up the next largest cultural groups arriving in Canada for studies. Very remarkable at Our Lady of Mount Carmel parish, I recommend you see inside the church a statue of Mary, Our Lady of China. She is dressed to reflect the culture of the Ching dynasty. Outside the church to greet you is a statue of Our Lady of Mount Carmel who reflects the dress of a woman from the Ming Dynasty. Here she is seen behind Fr. Peter Chin along with members of the Knights of Columbus Council based at Our Lady of Mount Carmel parish. We included in our retreat, the Mother of Perpetual Help Icon. We found that despite the image coming from a non-Asian culture, prayer using this Icon helped nurture our spiritual growth and also stimulated good discussion in our small groups. You can read more stories of different Churches, cultures, and languages in which the Redemptorists serve across Canada.